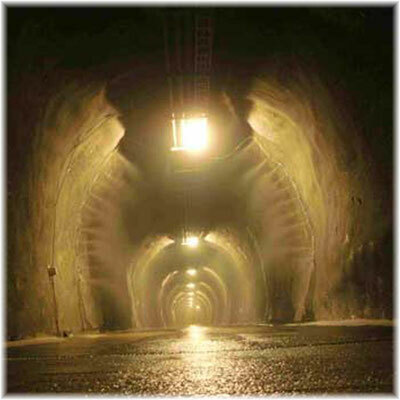 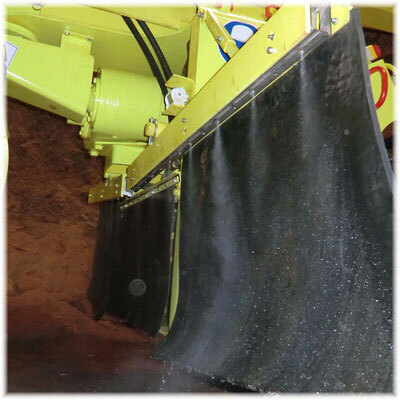 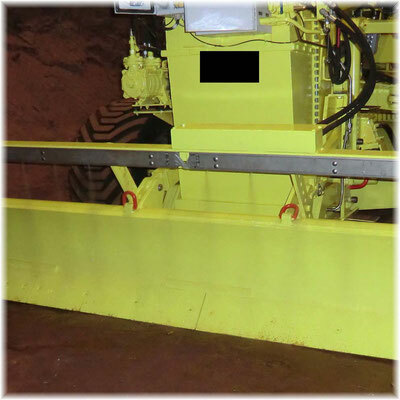 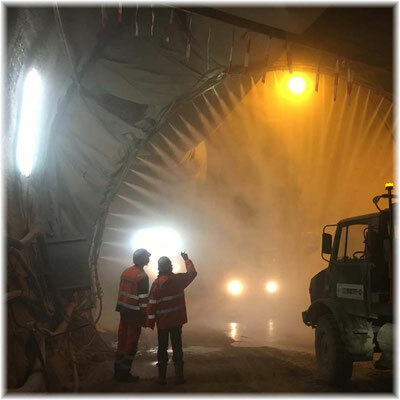 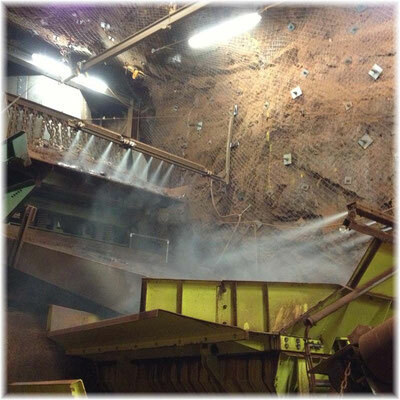 Tunneling companies often struggle with the problem of heavy dust formation. 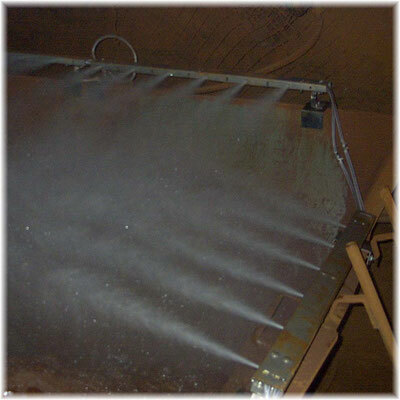 Recently implemented misting system. The misting takes place in a bow. This prevents the spreading of dust throughout the tunnel. 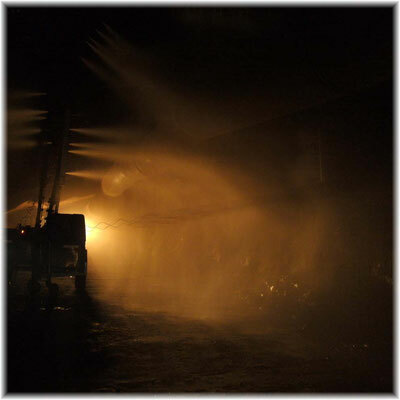 The fog is a barrier to the outdoors, no dust can escape. 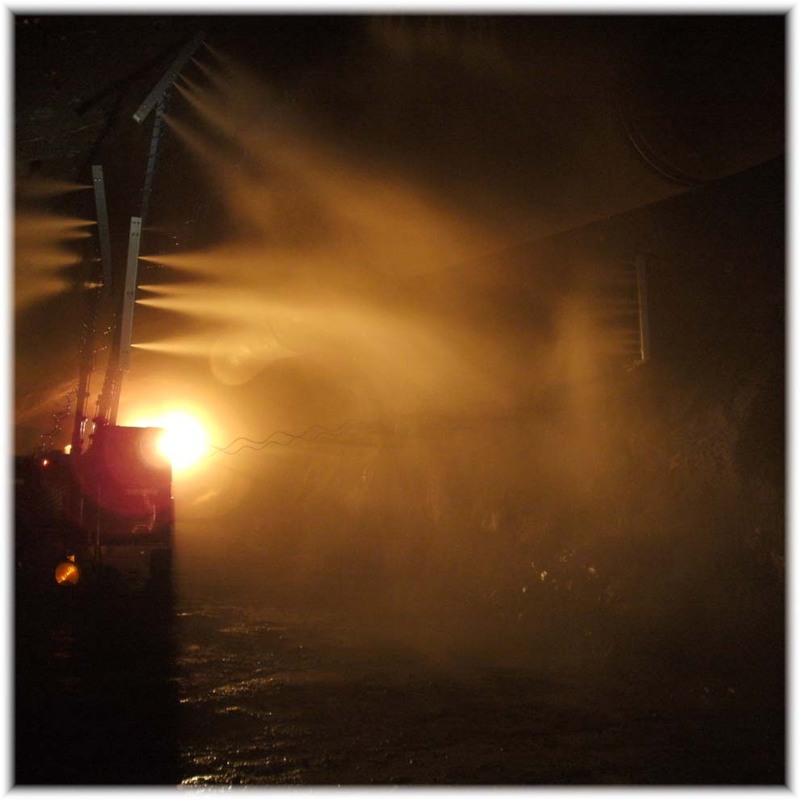 Traffic routes are moistened, so no extra dust is whirled up.